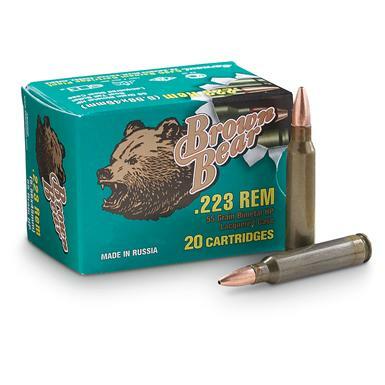 This high quality Ammo features a lacquered steel case; hence the "Brown" Bear name. Loaded to exacting standards normally reserved for military specification ammo. Muzzle velocity: 3,241 F.P.S. Muzzle energy: 1,282 ft.-lbs. Size: 5.56 x 45mm. 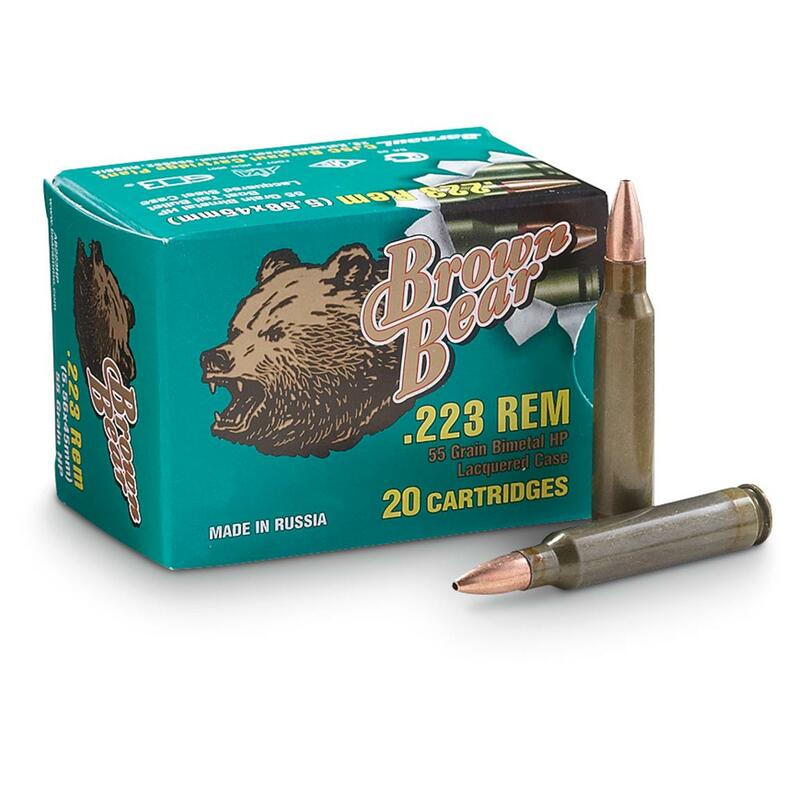 Brown Bear, .223 Rem, HP, 55 Grain, 20 Rounds is rated 4.7 out of 5 by 3. Rated 5 out of 5 by RICHARD from Good price, good target ammo. Rated 5 out of 5 by LAWRENCE from Brown Bear Ammo is reliable and inexpensive, two of the most important things when it come to ammo. I have used Brown Bear ammo in the past with excellent results.